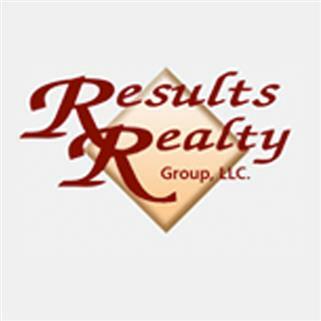 Buying a luxury house in Orlando, Palm Beach or any other Florida city or town should be quick and simple. However, homebuying problems sometimes may arise that prevent you from securing a top-notch residence at a price that matches your budget. Lucky for you, we&apos;re here to teach you the ins and outs of the Florida luxury housing market to ensure that you can become an expert property buyer. 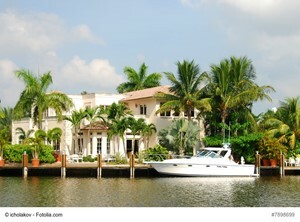 Now, let&apos;s take a look at three tips to help you secure a luxury house in Florida. Let&apos;s face it – the pictures of a Sunshine State luxury home are unlikely to tell a house&apos;s full story. As such, you should allocate the necessary time and resources to fully assess a luxury residence to guarantee this house suits you perfectly. For instance, if you want to buy a luxury residence close to Disney World, you may want to check out luxury houses in the Orlando area. At the same time, you likely will want to ensure that a luxury residence is not highway-adjacent. That way, you can minimize the risk of encountering excess traffic any time you leave your luxury house. If you find a Florida luxury home that you want to buy, don&apos;t forget to conduct a property inspection as well. Regardless of whether you plan to purchase a Sunshine State luxury house in Miami, Jacksonville or elsewhere, a home inspection will help you identify and address any potential property issues before you finalize your purchase. Although a luxury home in Florida may include a stunning beachfront view or other amenities, it is important to note that the price of a residence may be negotiable. Thus, if you enter the luxury housing market with an open mind, you may be better equipped than others to pay less than a seller&apos;s initial asking price to acquire a first-rate Florida luxury home. Before you submit an offer on a Florida luxury residence, you should conduct plenty of luxury housing market research. For instance, if you plan to make an offer on a Tampa luxury residence, you may want to look at the prices of recently sold luxury homes in Tampa and its surrounding areas. By doing so, you can put together an offer that accounts for a luxury home&apos;s condition, along with the current state of the real estate market. There is no need to pursue a Florida luxury residence on your own. Fortunately, if you collaborate with a real estate agent, you can receive expert insights into the Sunshine State&apos;s luxury housing market at any time. A real estate agent understands what it takes to acquire a luxury residence in no time at all. If you want to buy a luxury home in South Beach, a real estate agent can help you do just that. Or, if you are uncertain about whether to submit an offer on a Sarasota luxury house, a real estate agent can provide honest, unbiased recommendations. Ready to enter the Florida luxury housing market? Use the aforementioned tips, and you can become a Sunshine State luxury real estate expert.